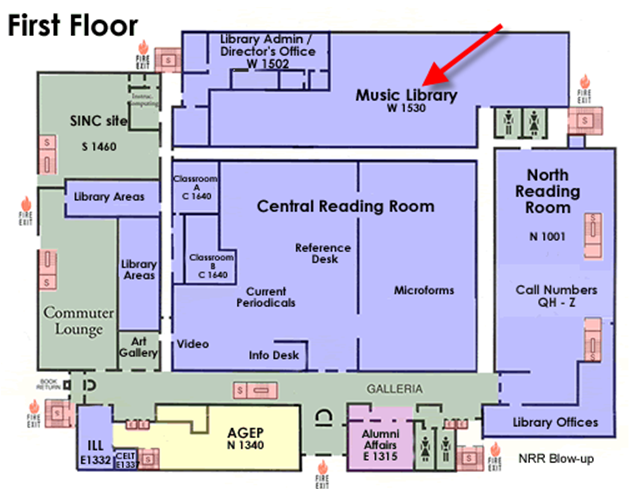 Please go to the third floor main circulation desk to determine if you qualify for borrowing privileges. ILL (Interlibrary Loan) – Borrow material from other participating libraries. Reference and Cage Items –Reference and closed stack materials (Cage and audio visual items) may be used on the premises only. The State University of New York at Stony Brook is situated on a 1,100 acre site on the rural north shore of Long Island in southeastern NY. By Plane – The Long Island MacArthur Airport in Islip is 16 miles from the campus and is serviced by direct flights by major airlines and commuter lines. Kennedy and Laguardia airports are 50 miles to the west. By Car – From the west, take the Long Island Expressway (LIE, I-495) eastbound from the Queens Midtown Tunnel in Manhattan or the Throgs Neck Bridge or Whitestone Bridge in Queens to exit 62 and follow Nicolls Road (Route 97) north for nine miles. The main entrance to the university is on the left. By Ferry – Car ferries cross Long Island Sound at Bridgeport, Connecticut to Port Jefferson, Long Island and from New London, Connecticut to Orient Point, Long Island. Take Route 25A west to Nicolls Road and go south for one-half mile on Nicolls Road. By Train – Take the Long Island Railroad’s Port Jefferson line from Pennsylvania Station in Manhattan to Stony Brook. The train station is at the border of the campus and bus service to the central campus is provided. Some trains require changing at Jamaica Station and some at Huntington Station. Here is the schedule for Stony Brook. The Stony Brook campus is detailed in this clickable map. Click on a section to get an enlarged view of an area. 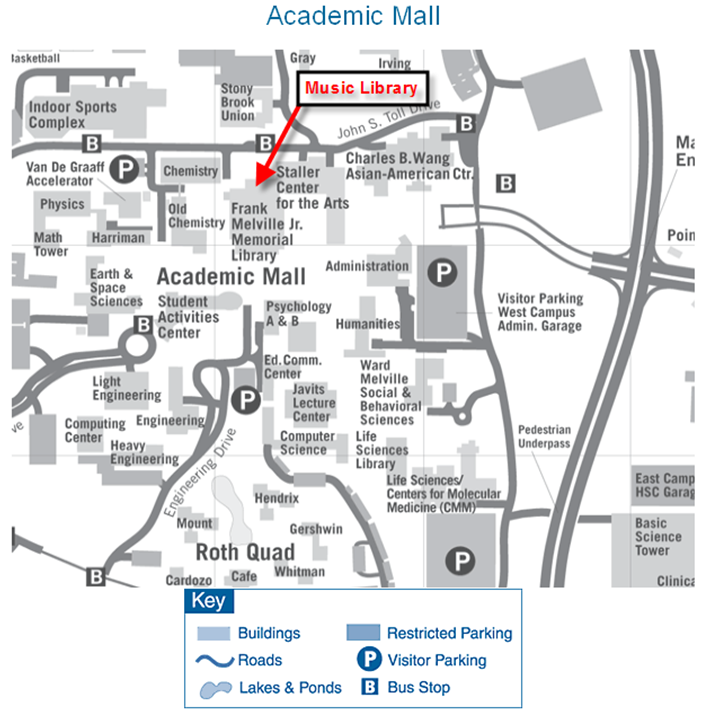 This map is maintained by the University so you will have to use the BACK button on your browser to return to this page.